Director of Political Affairs at the African Union (AU), Dr. Khabele Matlosa, has commended the electoral process of Ghana, stating that it had done well in terms of improving the management of elections. According to him, there is the need for other African countries to learn from the professional electoral management bodies (EMBs) in Ghana that have been conducting credible, peaceful and democratic elections. Dr. Matlosa, who was speaking at the General Assembly Meeting of Association of African Election Authorities (AAEA) in Accra, said Ghana had done well in terms of ensuring that elections are managed transparently and democratically, leading to a peaceful outcome of the process. “Some countries have successfully managed their elections and have ensured that democracy is sustained, deepened and natured. One such country that has really done well in terms of improving management of elections is definitely the Republic of Ghana; and there are some lessons that other EMBs can learn from Ghana in terms of ensuring that elections are managed transparently and democratically leading to a peaceful outcome of the process,” he said. He added that one of such lessons other African countries needed to learn from Ghana is that contestants need to have a culture of accepting election results based on a code of conduct they would have signed if the elections were conducted transparently, freely and fairly. “The issue of ensuring that the judiciary is allowed to play its own role in dispute resolution in times where there have been disputes, Ghana is an example where those disputes have been resolved amicably through the judiciary and without parties interfering with the role of the courts,” he noted. He proposed that African countries need to strengthen institutions that anchor democratic elections, citing National Peace Council as one of such strong institutions in Ghana. 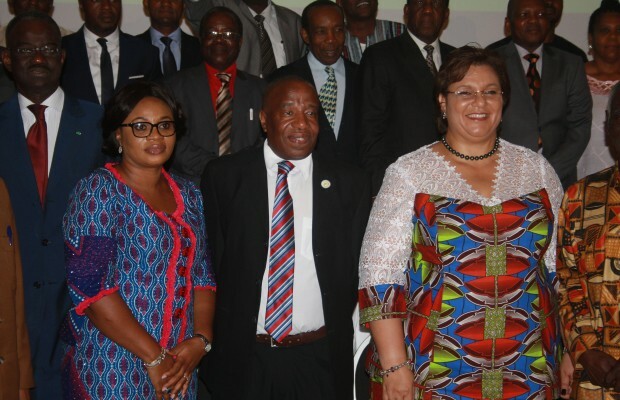 Hanna Tetteh, Minister for Foreign Affairs and Regional Integration, also commended Nigeria for holding a free, fair, transparent and credible election which was devoid of violence and resulted in the change of political power. “It is important because Nigeria, especially for those of us in West Africa, is one of the largest countries on our continent and if indeed in a country such as Nigeria was able to hold elections that we all acknowledge as being well done, then I think that indeed there is no excuse for any country anywhere else on our continent not to be able to hold free, fair, transparent and credible elections,” she added.